Gunter’s family moved to Canada from Germany in 1980 to provide more opportunity for the second generation in the agriculture industry. Now Gunter operates the family farm (Blue Diamond Farms – a grain and oilseed operation), just west of Winnipeg, with his wife Crystal and their four daughters. Gunter is keen to engage in activities that strengthen the ag industry as a way to ensure the sustainability of farming for future generations. Each year Gunter, Crystal and their daughters participate in Open Farm Day which provides the public with the opportunity to visit their farm and learn about agriculture. 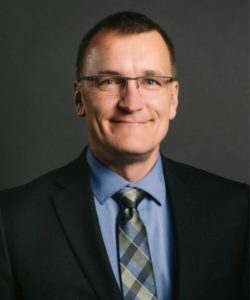 Gunter also maintains a strong presence advocating for agriculture on social media and enjoys being active on the Wheat Growers as a voice for Western Canadian farmers. The Western Canadian Wheat Growers Association (WCWGA) is welcoming at least one announcement that was included in the 2018 provincial budget. Restricting US wheat imports while Canada enjoys unrestricted access to the United States was a major topic of conversation at a recent farm conference. It’s a trade irritant that St. Francois Xavier farmer and Western Canadian Wheat Growers Association director Gunter Jochum fears could lead to the U.S. blocking Canadian wheat imports. In this two-part Perspectives article, we spoke to two members of the Manitobans Against Carbon Taxes Coalition about how they believe a carbon tax will hurt the agriculture sector and the economy.